Chris Gill has to feel the song when he sings. Those emotions show through when his fingers are either pressing the piano keys or strumming his guitar strings, and when he displays his thoughts through his lyrics. The emerging country artist is in the midst of recording an album – Gone – and the first single is climbing up the charts. In fact, ‘Gotta Lotta Livin To Do’ just won an online emerging artist showcase on CJKC, a country radio station in Kamloops, B.C., with 84 per cent of the vote. Chris Gill Wins Emerging Artist Showdown ! 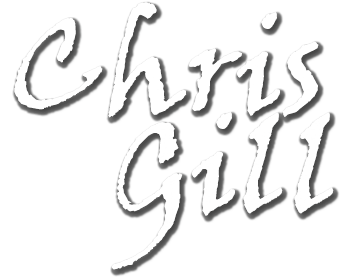 New Release by Chris Gill "Gotta Lotta Livin To Do" wins Emerging Artist Showdown with 84% of the vote. His song was Featured on Country 103-FM Top 10 Countdown in British Columbia. Way to go Chris! Check out the Emerging Artist Showdown and vote for Chris Gill's new song "Gotta Lotta Livin To Do" click here and vote ! http://www.country103.ca/pages/16288993.php Let's keep this amazing artist on top! Stay tunes Folks. Chris just released "Gotta Lotta Livin To Do". Posed to be the hottest country rock song of the summer !! !